OK, let's talk about invites. Like, the good kind. The kind you used to get when you were a kid and someone was inviting you to their birthday party and you'd hang it on the fridge and let it stay for a while. I don't know about y'all, but I cannot stand Facebook groups when it comes to events. It just feels so impersonal to me, especially if it's for an intimate setting or something with friends. If you have my number, you should have my address! There's something so special about receiving a card or an invitation! I'm constantly planning events, brainstorming ideas, playing around with colors and logos for my blog, and I love designing anything graphic. I'm not wifed up or anything, but you better believe when it's that time I'll be creating some awesome invitations, and I want them on point! I found Basic Invite's invitation website and was super impressed with the categories they have available. They have us hooked UP! Weddings, birthdays, basic parties, engagements, Bar/Bat Mitzvahs, the works. I'm super picky when it comes to colors. With my blog, brand, and everything that goes into maintaining any type of aesthetic (which I'm still working on), I always have to find a custom html code for colors of some sort. 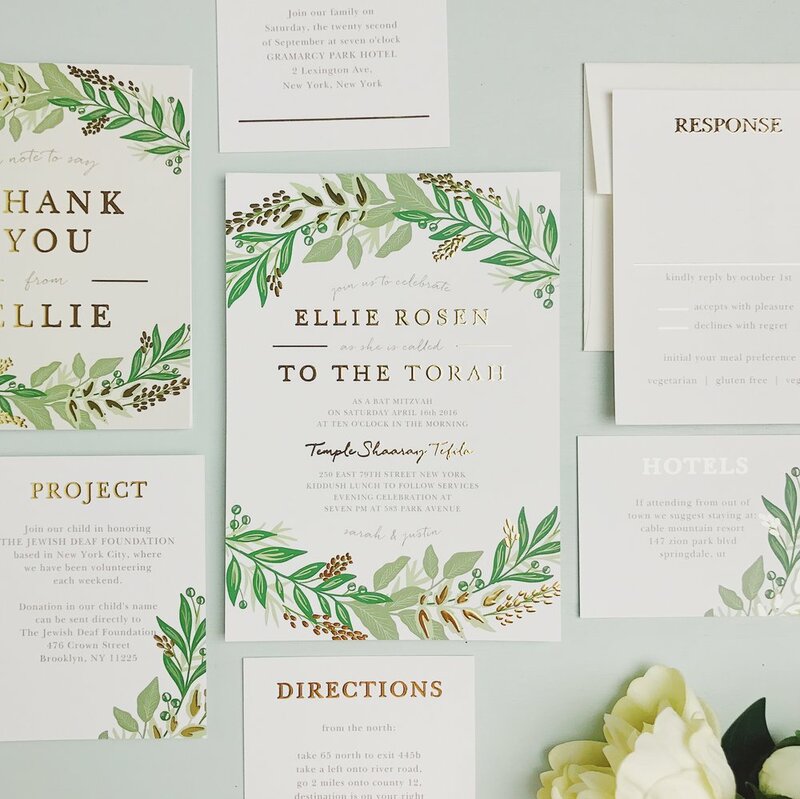 Basic Invite is one of the few websites that allows you to create custom made invitations with a variety of colors, preview live, AND order a single custom sample. Why pick from preset colors when you can choose your own? They have 180 colors to choose from...and I love options. One thing that drives me nuts with ordering invitations, business cards, anything that involves bulk, is the need to place with a minimum quantity and not seeing how the product will turn out. Basic Invite lets you order a single sample to see the colors, fonts, everything in-person, and you can feel the quality of paper and materials in your hand. SO important when it comes to spending my coin. I need to know that I'll love the finish product, and I don't like making bets with it! K another thing that can get super time consuming: collecting addresses. Basic Invite lets you share a link on social media that lets your guests enter their address online, and it automatically stores it in your account. Voila. No wasting time hounding people to send their address. For any of you brides to be, party planners, event planners, you name it, they have SOMETHING that will fit your needs. 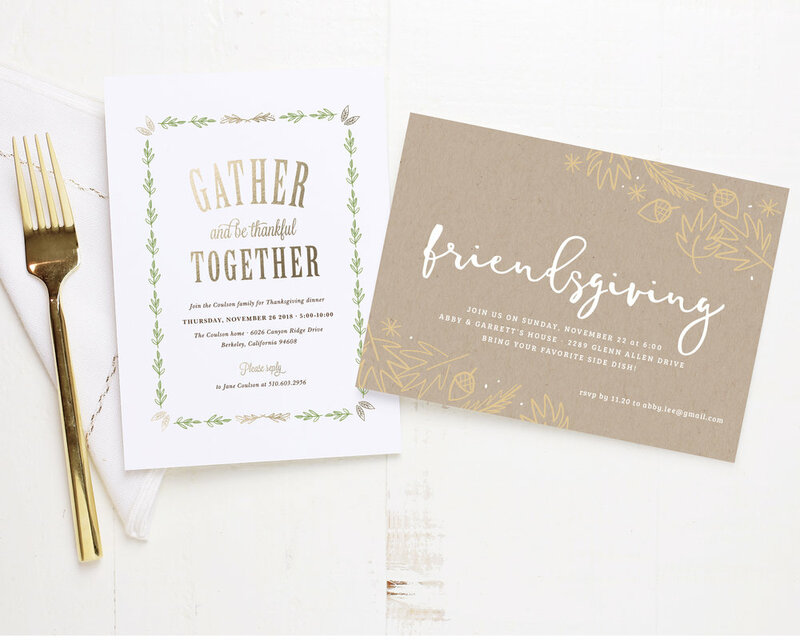 Foils, tons of colors, envelopes and gorgeous fonts (SO important) for your party announcements, Christmas cards, anything. Thanks to Basic Invite for partnering up with me and letting me share their designs and custom invitations with y'all! I have the page bookmarked for my next big thang...whatever that is!